Sera Khandro Dewé Dorje (Tib. སེ་ར་མཁའ་འགྲོ་བདེ་བའི་རྡོ་རྗེ་, Wyl. se ra mkha' 'gro bde ba'i rdo rje) aka Kunzang Dekyong Wangmo (ཀུན་བཟང་བདེ་སྐྱོང་དབང་མོ་, Wyl. kun bzang bde skyong dbang mo) (1892-1940) — a great female tertön whose treasure texts are revered by many great Nyingma masters. 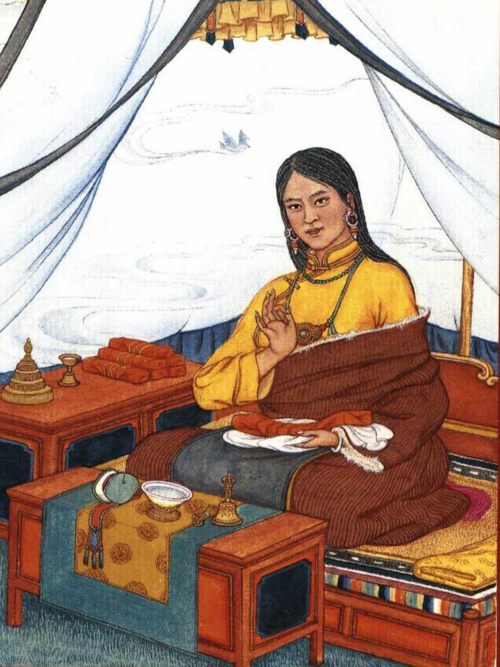 She was the consort of Tulku Trimé Özer, one of the sons of the illustrious Tertön Dudjom Lingpa. She was also one of the root gurus of Chatral Rinpoche and was reborn as his daughter, Saraswati.